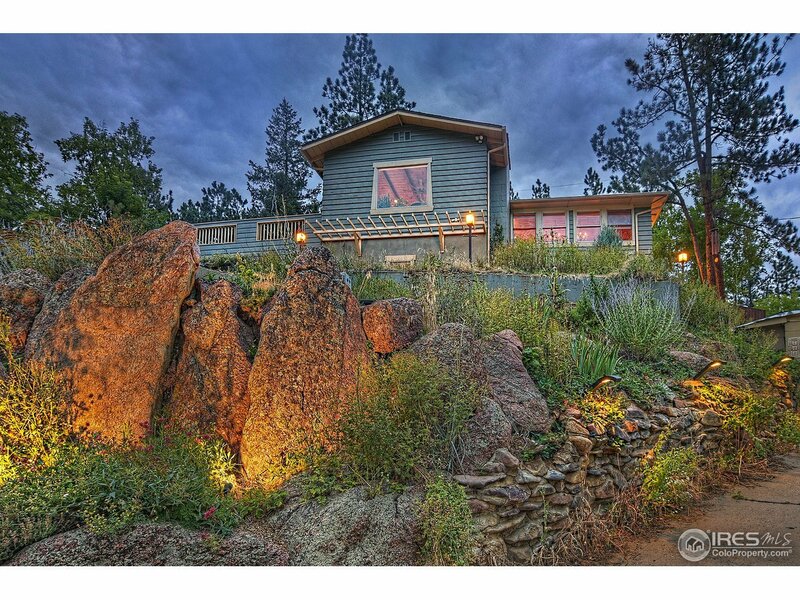 Whimsical and charming mountain living just 5 minutes to downtown Boulder. Gorgeous mountain views out your front picture windows or enjoy them from the sun drenched deck or private flagstone patio. Great layout with beautiful hardwood floors, moss rock fireplace, new light fixtures and tongue and groove wood ceilings. 3rd bedroom has a separate entrance, ensuite bath and living area. Updated electric, newer septic, new well pump, reverse osmosis system - truly easy mountain living!